As the term ‘climate change’ has now all but replaced ‘global warming’ in catastrophism’s argot and our nation’s political vernacular, let me report in sorrow rather anger that some farmers, who should know better, have made themselves dupes of those bent on wrecking the economy, the nation’s future and their own livelihoods. For years, government-funded climate scientists have plied a generation of gullible followers with questionable science. The models used to display the planet’s imminent doom all and always emphasis the alleged ability of carbon dioxide to massively change global temperatures, even though it represents just 0.04% of atmospheric gases. Their models have been proven wrong in theory and practice time and again; meanwhile, the climate changes as it has always done in response to entirely natural factors and influences. For farmers, the trap is that any climatic event not suitable for the optimum production of their particular commodity is now deemed not be the consequence of living and working on a land of “drought and flooding rain” but of anthropogenic climate change. Disingenuously, this dismisses the 200-plus years of records — unhomogenised records, that is — and ignores the Australian farmer’s demonstrated ability to cope with and adapt to climatic adversity. Whilst climate change has supposedly been ruinous over the past 20 years, farmers have been using innovation, developed mostly on-farm, to substantially increase our agricultural output. Simply put, the increased agricultural production in this age of supposed ruinous climate change is not reconcilable — and especially not with the fearmongering that continues apace even as global temperatures obstinately refuse to rise above the flat-line they have followed for what is now 20 years. The dressing up of climate disruptions as “man made” is a global industry of huge proportions. Recently, in Katowice, Poland, the UNCOP24 meeting saw thousands of delegates fly in from around the world, including Australia. They enjoyed a lavish get-together while pushing for a consensus on regulations to stand by their Paris commitments and reduce emissions, an undertaking observed in the breach for the most part. If there were delegates who recognised the inherent hypocrisy of airlifting legions of freeloaders from all corners of the world in carbon-spewing jets their mouths remained diplomatically shut. When you are on a good wicket and other people’s taxes are paying for it, silence is literally golden. Meanwhile, back on the land, reality can be observed every day from the verandah. We will never dismiss the hardship that drought, floods and frost cause because we know their perils first-hand from grim experience. To call on government to “solve” natural changes in climate renders our industry beholden to bureaucrats, who will without any conscience, remove our ability to solve real problems. The National Farmers’ Federation has acknowledged the Australian Labor’ Party’s intention to overhaul Australia’s environment laws and to establish a new Federal Environmental Protection Agency. NFF Chief Executive Officer, Tony Mahar said both proposals, which were supported at the Party’s conference over the weekend, needed careful thought, comprehensive consultation and, if proceeded with, smooth implementation. If that is not enough to raise the alarm, ponder the stated desire of Mr Mahar to make the primary sector, in his words, “progressive”. 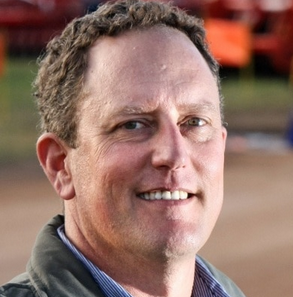 “We’ve moved on [from the NFF’s former agnostic position] and recognised that within the farming and agricultural industry, climate change poses a significant challenge,” Mr Mahar said. He said the decision reflected the fact that farmers’ views had changed and would give the federation the ability to be more engaged in debates around climate change. “We need to be part of the conversation, we want to be progressive and engaged in the debate,” he said. The NFF firmly believes that Australia’s minuscule 1.3% of global emissions is enough to cause and enhance drought. Unless the NFF publicly rejects this assininity the day will come, and not too far in the future, when farmers are forced to farm according to the climate change doctrine. This will be worse than any natural peril. Importantly, despite what the warmists’ media shills would have you believe, the NFF does not speak for all farmers. This needs to be understood by all observers. Never far away from the words ‘climate change’ is ‘social licence’. It may have a vague meaning and ambiguous application but a social licence will deny a farmer their lawful right to farm. In essence, green groups and environmentalists will determine what are and are not acceptable farming practices. The number one objective is to strangle agriculture because we emit carbon dioxide (nature’s plant food) and save the environment from us. Communities and markets are actively setting higher expectations for food safety and natural resource management. The ‘right to farm’ has effectively been replaced by the need to earn a ‘social licence’ to use natural resources in production of food and fibre. Not only do farmers need to comply with legislation and follow good farming practice, they also need to demonstrate their credentials and adoption of good practice. Within the report ‘carbon footprints’ were cited as being a community concern. Had the program been mandated farmers would be subjected, by way of enforceable rules, to the whims and edicts of climate-change ideology. A growers’ push-back was enough to see the program and its objectives shelved, at least for the moment. This highlights the need for vigilance over the organizations that we trust with our hard earned money (levies). We reject the calls for government to be involved in overseeing and regulating farming businesses. History tells that this variety of interference leads to a central planning bureaucracy and edicts from on high. Remember, under the Paris agreement which the likely and looming Labor goverment is certain to honour and uphold, emissions from agriculture and transport sectors must be reduced. So far the push has been against the power industry, and we have all seen the mess and ruinous expense those strictures have imposed. With the pressure now being turned on other industries, farmers do not want to see our industry hijacked by an ideology so ignorant and spiteful of human advancement and resilience. We are proud farmers providing the consumer market, both at home andoverseas, with an affordable and sustainable supply of quality food. As growers, we love carbon dioxide. 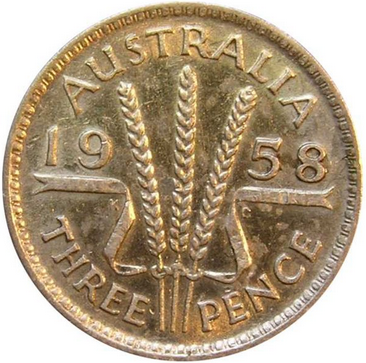 John Snooke produces wheat in Western Australia. a good article and very timely. I was interested to hear about the use of the pernicious concept of a ‘social licence’ being used to constrain farmers. This term should be an absolute no-no in the mouth of any conservative yet our erstwhile supposedly conservative Energy Minister has used in relation to the generation of electricity. Both the major political parties in Australia are virtually in the same bed, being well and truly locked in to ‘neo-feudalism’. Neo-feudalism is a peculiarly invisible hierarchical structure of power: The New Nobility (or aristocracy if you prefer) wields vast concentrations of political, social and financial power (See: https://dailyreckoning.com/america-has-a-neo-feudal-system/). It is power and money that drives governments down tracks to benefit the Elite in many ways. In Australia, we have a Productivity Commission which acts more like a thinly-veiled social engineering agency conducting ‘inquiries’ driven by political notions. That body superseded the Industry Commission and we no longer have a creditable industrial base. Australia’s once diverse rural base is very rapidly morphing into corporatized farming embracing significant offshore investment. Flood irrigation for cotton growing has wrecked once stable river systems and saltation has caused much agricultural land to degrade. It is the Gordon Gecko motive ‘greed is good’ that obviously drives many of the corporatized landholders. Since time began, our climate has varied according to solar influences and any earthbound notions to change this inevitability are pretty meaningless. Yet the world has been swept up in a frenzy of misinformation that is driving huge change in the economic infrastructures of nations that will likely have far-reaching negative consequences. Australia’s insignificant CO2 emissions cannot possibly have assumed effects on the droughts that have forever been a feature of national climate; but the nation is boring ahead with a whole range of trendy initiatives to counter so-called Climate Change, even within the military! The question begged of course are many of the Elite supporting this cause for benefit? If you think political bastardry will reduce grain production, wait until you see the effects of the Grand Solar Minimum. Read Quadrant contributor David Archibald’s book, Twilight of Abundance. A few years out of date now, but things have only got worse than the scenario Archibald portrayed. A timely article shedding some common sense on yet another manufactured catastrophe. Bushranger 71 mentions the “Elite”. Who are these people? Are they some shadowy rulers of the universe who can tell governments what to do? We hear that humans are preparing to colonise Mars. Why would you do that? Then you hear that the earth’s population is becoming “unsustainable”, with the inference that the human race has to be reduced. Governments talk about the “problem” of an ageing population. Why is it a problem just now? People have aged in the past and it has not been a problem. Governments wring their hands and complain how much it is going to cost to look after the older citizens. One solution seems to be privatising suicide through euthanasia – saves funding all those nursing homes and medical bills – user pays. If the farmers are not allowed to produce enough food for our populations then the economic pressure to have less humans will increase. The recent revelations about a “charity” paying ship staff to arrange for videos of sheep in the live animal transport industry is another threat to farming and grazing, as veganistas push their fanaticism against meat. It’s getting like a bad religion or cult where we will be expected to take our own lives like the Jonestown massacre in the 70s when people were convinced to mass suicide for a higher cause. It will take a climate catastrophe such as a solar minimum to stop the global warming rot. When that occurs watch the same climate scientists tell us they predicted it all along and watch the MSM fall into line. Lying and leftists go hand in hand. The biggest shame is that organisations like the NFF have been taken over by the virtue signallers and to hell with those they are supposed to represent. The only way out is to cancel your membership and starve them of money until they listen to farmers. Tthey cannot be trusted to work in your best interest. Instead of accommodating Labor madness they should be campaigning against it. It’s coming. This morning, I heard an ANU academic ABC on News Radio (Activist Central) giving a long dissertation of how difficult it will be to convert humans from eating red meat to eating only plant protein. He gave the impression that the decision has been made and the only problem remaining is how to convince the great unwashed to make the change. Why does the media give oxygen to these totalitarian clowns.